Lexus LS600h L, a part of Lexus LS series, has been launched in Indonesia by holding concept “The Highest Expression of Lexus, A Revolutionary Driving Experience, serta Peerless Innovation”. Lexus LS600h L brings the hybrid technology with engine 5000 cc V8 and fuel consumption 12.5 km for 1 litter. Several sophisticated features also installed in the Lexus LS600h L for instance LED headlamp, Intelligent Parking Assist , air suspension, ottoman seat and Mark Levinson sound system. 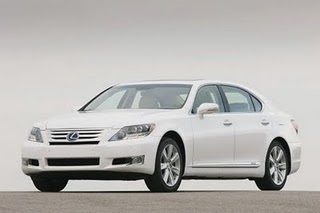 The price of Lexus LS600h L is about 2.7 billion rupiah.